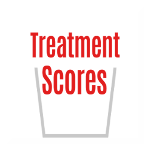 Treatment Scores, LLC aims to educate. There is an 88% health illiteracy rate (Health.gov), because medical statistics are difficult to understand. We want patients to understand their medical treatments better. Please help bring Treatment Scores to the world so that we can help all 7 billion people on the planet. You can help by following Treatment Scores and these people on social media.